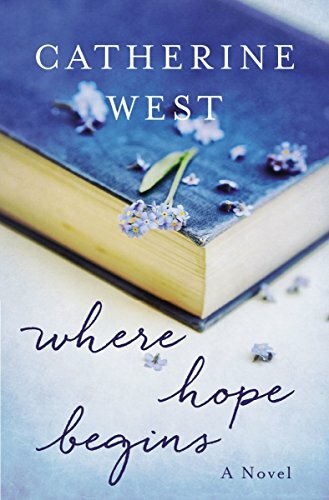 Where Hope Begins is one of those books that draws the reader in and doesn't let go. Then after you finish, the story lingers. Savannah Barrington's life is filled with sorrow, confusion, and trouble. But God has a plan. While I read, my emotions roller coastered up and down. At one point I thought I knew how I wanted the book to end, then changed my mind several times. I was pleased that the author created the perfect ending for Savannah. 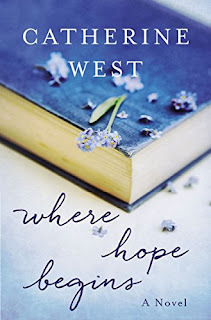 Catherine West is a talented writer who tackled some very difficult subjects in this book. Some that are hard to think about but need to be understood. If you do read this book, read the author's notes after you finish. FYI-Some of the characters drink alcohol even though this is considered an inspirational/Christian book. I'm not a fan of that, but that said, the story is five star. I received a complimentary copy of this book from Thomas Nelson through NetGalley. Opinions expressed in this review are completely my own.